Leverage best of breed products for IDaaS and network gateways with Okta and F5 Networks®. Enterprises are now beginning to centralize their IAM programs around IDaaS, moving the center of gravity of identity management to the cloud. With this transition comes the need to modernize on-prem applications, or implement solutions that enable more direct integration to IDaaS. 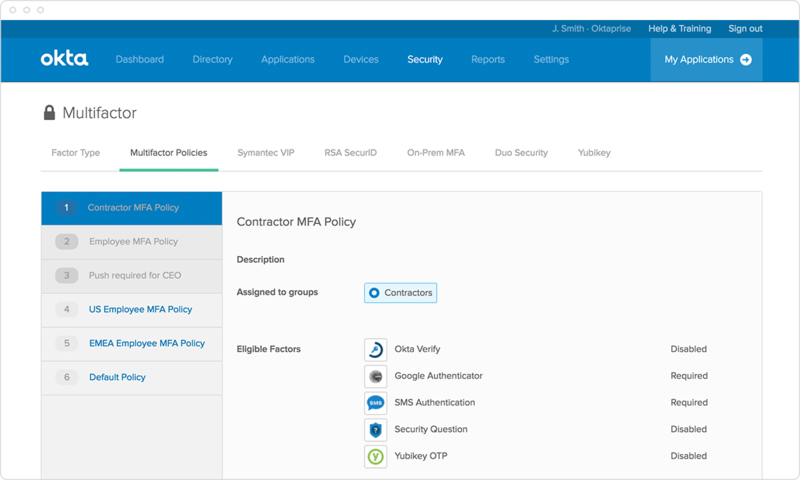 Once the F5® BIG-IP® platform and, more specifically, F5 BIG-IP Access Policy Manager® (BIG-IP APM®) is deployed and configured to Okta, IT admins can manage access through a single pane of glass in the Okta admin console. 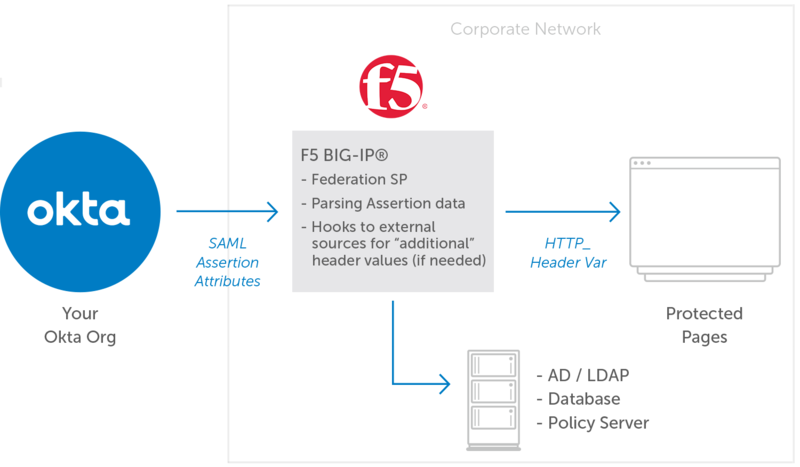 Network admins are able to maintain the security of on-prem access through F5 BIG-IP APM. With F5 BIG-IP APM integrated with Okta, end-users can authenticate once into Okta and seamlessly access on-prem applications. In addition, F5 BIG-IP APM extends Okta’s authentication capability to applications that do not have native authentication mechanisms or support header-based authentication. Finally, F5 BIG-IP APM provides an additional layer of security for on-prem applications by securing all HTTP traffic to and from an application. It can be a challenge to expose SharePoint Server (on-prem) to external users such as contractors or partners. Okta can integrate to SharePoint for SSO via federation, however in order to use certain SharePoint modules, such as SharePoint business intelligence features, users must have a Kerberos token. F5 BIG-IP APM supports the key requirement of exchanging SAML assertions for Kerberos tokens, enabling use of the full set of functionality in SharePoint. Okta, paired with F5 BIG-IP APM, can manage contractor or partner identities and enforce multi-factor authentication. Enterprises that are moving on-prem servers to IaaS need to have a strategy for protecting access to those resources. One of the benefits of moving to IaaS may be that the service can be more easily reached from any network. F5 BIG-IP APM plays a key role in exposing these on-prem servers to the internet. Given the greater exposure, a good practice is to require multi-factor authentication to access these services. Okta can easily add multifactor authentication with a soft token (iOS, Android or Windows Phone), SMS or voice as factors. 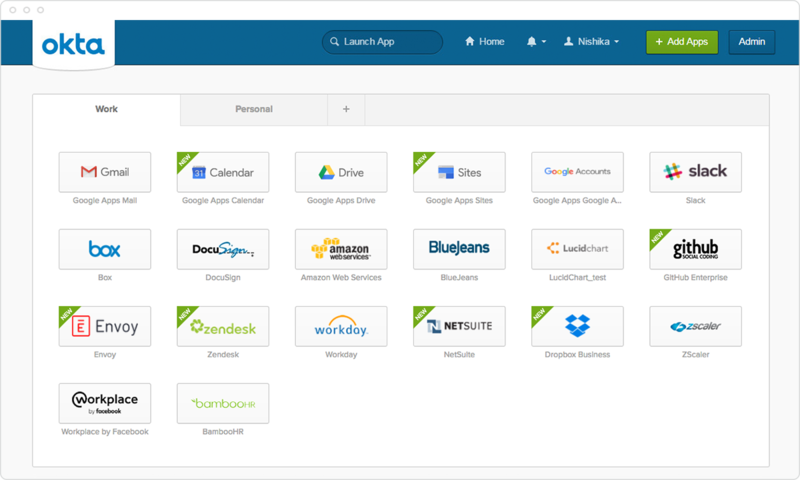 The Okta end-user portal is built to make it easy for end-users to access all their applications from one place. The portal is customizable by end-users, which drives a high level of user adoption. Typically, organizations using the Okta portal want all the end-users’ applications exposed and accessible through the portal. Integrating Okta with F5 BIG-IP APM enables the user to log in once to Okta, and access all applications, cloud and on-prem, in one place.